Swimming with dolphins on the Big Island can be done by people of all ages and swimming skills and is often described as an unforgettable experience that will leave you with memories for a lifetime. There is, however, one BIG “however” to consider when researching this activity: the well-being of the dolphins. The ‘swim with dolphins’ tours currently offered on the Big Island can be harmful to the dolphins, and at the moment we don’t recommend any of these tours. If you are lucky you can experience swimming with dolphins when a curious wild dolphin approaches you to check you out. If the dolphin swim is a real ‘bucket list’ activity for for you, you could consider swimming with captive dolphins. This guide gives a short background on dolphins, explains how to behave around wild dolphins, and list two options for responsible “swim with dolphin” tours. “Nai’a” is the Hawaiian name for dolphins. It refers to any species of dolphins found in the Hawaiian waters, which can mean one of the following four:  The pacific bottlenose dolphin. The rough-toothed dolphin. The spotted dolphin. The spinner dolphin. Of these four, spinner dolphins are the smallest and most commonly seen dolphins in Hawaii. The pacific bottlenose dolphins are known for their playfulness and star appearances in aquariums worldwide. What is the best place on the Big Island to see dolphins? Spinner dolphins in Hawai’i rest during daylight hours in the shallow and sandy-bottom bays along the Kona Coast of the Big Island. These bays provide protection from predators found in deeper waters yet still are close to the more off-shore feeding grounds where the dolphins forage overnight. The best places to spot wild dolphins are at the Kona and Kohala coasts. The weather on this side of the island is good year-round so don’t forget to pack sunscreen. You can sometimes even see dolphins play from Ali’i drive in downtown Kona, in the bay. Dolphins are very smart and playful mammals and it can seem like great fun for both parties to play with dolphins. However, seeking out and trying to interact with the dolphins disturbs their natural behaviors and can interrupt much-needed rest periods. Interactions between wild animals (dolphins) and humans are almost always disadvantageous for the animals but there are ways to mitigate the impact. The most important thing you can do is respecting the resting behaviors of the spinner dolphins. Spinner dolphins, the dolphins most commonly targeted by swimming with dolphin activities here on the Big Island, seek out sheltered bays with sandy bottoms in order to rest. These rest periods are crucial to their well-being. Unfortunately, tours that promise dolphin swims often go to these bays to find the dolphins during the resting periods. Honaunau Bay. Another great snorkeling spot, next to the very interesting Pu’uhonua o Honaunau National Park. Kauhako Bay 23 miles south of Kona, just above the Ho’okena beach park and camp site. Especially in these bays you should take care not to disturb dolphins during daylight hours, particularly so during their peak resting period between 10.00 and 14.00. 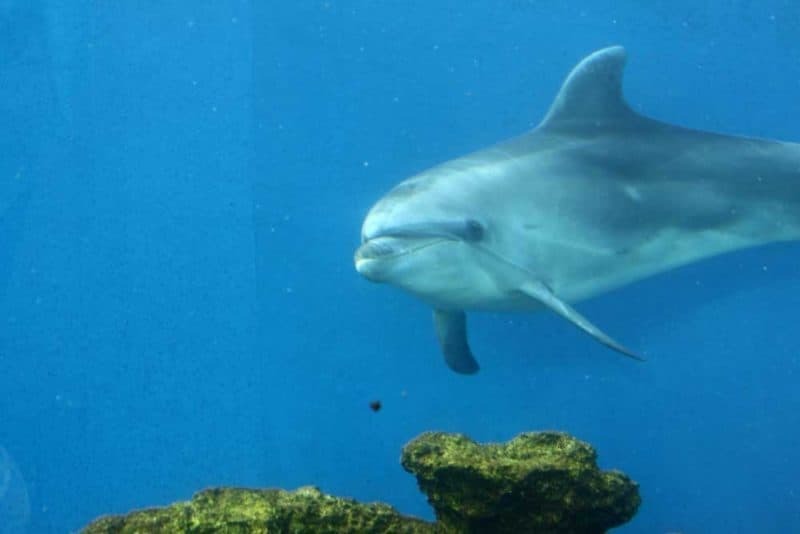 You can read more about efforts to reduce the tourist impact on Hawaii’s spinner dolphins on the very interesting blog Raising Islands, and in this study on the importance of spinner dolphin resting habitats, which is discussed here in depth. Remain at least 50 yards (1/2 a football field) from spinner dolphins. Limit your time observing to 1/2 hour. 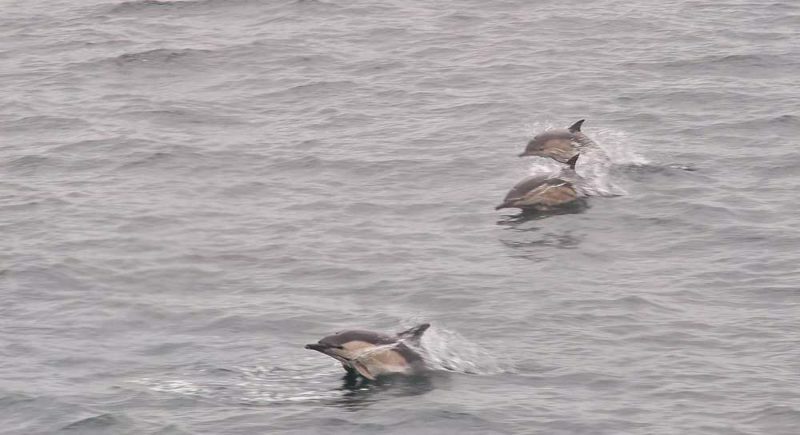 Spinner dolphins should not be encircled or trapped between boats or shore. If approached by a spinner dolphin while boating, put the engine in neutral and allow the animal to pass. Boat movement should be from the rear of the animal. Swimming with dolphins is not thought to be good for the dolphins itself because it interferes with their rest. NOAA recommends staying at least 50 yards away from dolphins when ‘swimming’ with them (read more on the how and why of these guidelines). Out of respect for dolphins and the ocean, please read these guidelines and choose your tour operator accordingly. Tour operators on the Big Island (and worldwide) still organize “dolphin swim” excursions with disregard for the best interest of the dolphins itself. To help decrease the impact of these tours on the dolphins the NOAA has started the “Dolphin SMART” program. Dolphin SMART is a unique voluntary recognition and education program encouraging responsible viewing of wild dolphins. Commercial wild dolphin tours or any commercial vessel that may opportunistically view wild dolphins can participate in the SMART program and get recognized if they successfully demonstrate responsible viewing and advertising of dolphins in the wild and educating patrons on the importance of dolphin conservation. SMART has only recently expanded to Hawaii, and recognition has not been awarded to any company on the Big Island yet. If this happens we recommend that you reward the companies that gain SMART recognition by booking your tours through them. You might bump into dolphins while enjoying one of the many ocean activities on the Big Island, but if you do not want to take that chance, your best bet is to book a dolphin tour. These tours last about 4 hours and set you back around $150. Snacks, water, and snorkeling equipment are generally provided to the guests aboard, but be sure to inquire about this when you book a tour. The last time we checked (March 2019) none of the Big Island tour operators had been SMART certified. We therefore can’t recommend any swimming with dolphins tour on the Big Island. Body Glove Hawaii offers a Dolphin Snorkel adventure for which they guarantee dolphin sightings (or you can go again for free). They adhere to the SMART guidelines and don’t let people in the water with the dolphins. Dolphins often come very close to the catamaran they use for tours though as they play in the waves behind the boat. Another options for a Dolphin Tour is the tour offered by Sea Quest Hawaii. When contacting these (or other) tour operators whose excursions you are considering, please inquire after the procedures they follow and especially if they are SMART certified. This way you let these companies know that you care, which, in turn, will make them care more. 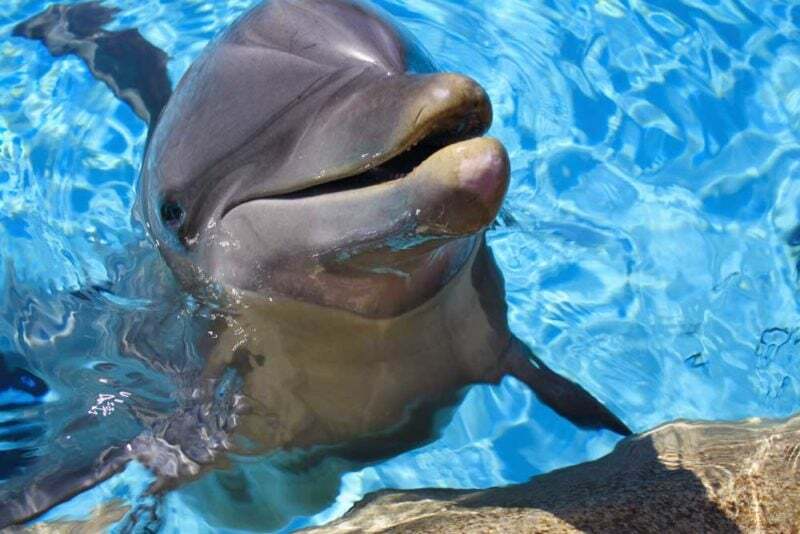 As an alternative to dolphin encounters in the open ocean you can consider the Dolphin Quest at the Hilton Waikoloa village which ’employs’ captive (resident) dolphins and is certified Humane by American Humane and accredited by the Alliance of Marine Mammal Parks and Aquariums. This way you still get to be in the water close to real dolphins without causing unnecessary harm.